Lunch out. I love to cook, and I love to eat! I am definitely not shy about my love for good food… I have a blog dedicated to it, after all! So, being a food lover, I love to go sample other people’s culinary creations from time to time as well. Not to mention eating out can be a great source of inspiration. And then I get to share that experience and inspiration with you! 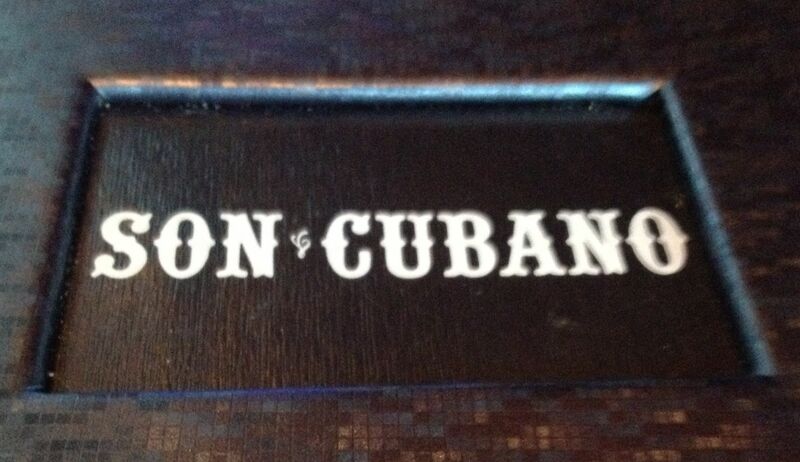 Lunch was at Son Cubano restaurant, with my wife and 2 of our closest friends. If you couldn’t tell by the name, it’s an upscale Cuban restaurant. They have a few Cuban dishes which they’ve truly mastered – Ropa Vieja, Churrasco, among others. 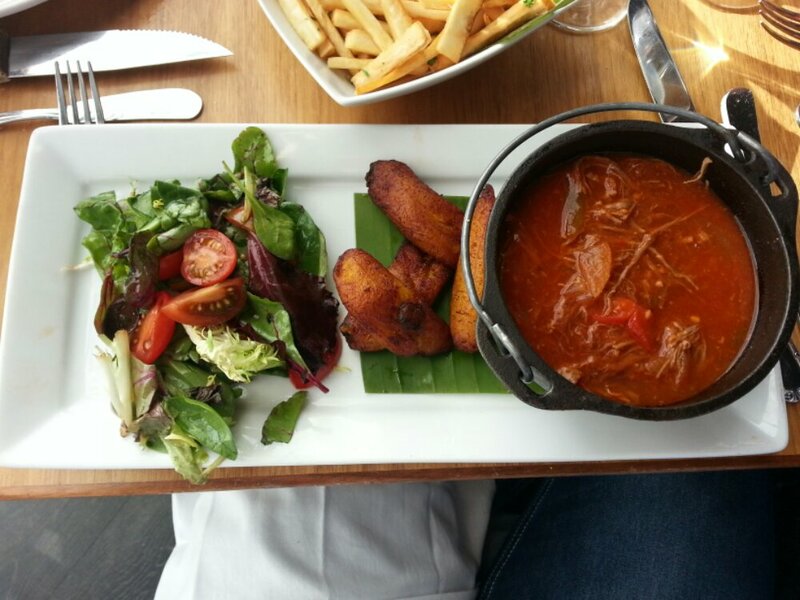 I ordered the Ropa Vieja shown in the picture above, and replaced the rice and beans with a side salad. Then I got to sample my wife’s Churrasco. Ordering Paleo meals can be somewhat challenging, depending on the restaurant. But most chefs start a meal the same way: choose a meat, choose a flavor profile (sauces, spices, etc. ), then choose a vegetable. If you select a meal with Paleo friendly flavoring, the restaurant will usually allow you to replace a grain or potato side with a side salad. Good food, good company… it was just right! That looks delicious! I love a cub sandwich. Good to see other options. Cuban food is definitely a favorite in my family. So they were the restaurants where we really cut our teeth with Paleo ordering. I’m always happy to share our successes with you!